Free burger/wors roll at the finish line for all online entries. The Tour de Plett is superbly organised by MTN Club100 Plettenberg Bay. 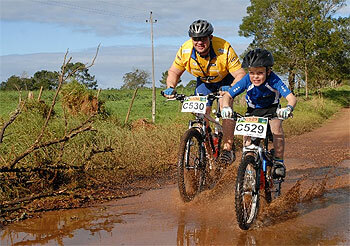 The MTB Marathon will take place on Saturday 22 June 2013. The race will commence and end at the Wittedrift High School in the village of Wittedrift which is some 8 kms from Plettenberg Bay and within the Bitou Municipality. 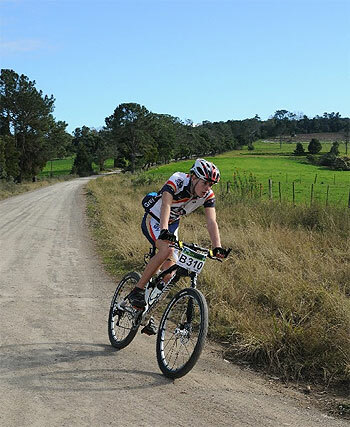 The Tour de Plett MTB Marathon forms part of the SWD marathon series and is the 5th race in that series. It comprises a marathon 75km, a half marathon 50km and a fun ride 30km. Cyclists will experience the Garden Route at its very best. A mountain biker’s paradise. They will be treated to a spectacular ride through pristine indigenous forests, the stunning Petrus se Brand and explore previously un-ridden forest and farm tracks. To crown it all they will pedal home amongst the giraffe, wildebeest and antelope of the magnificent Buffalo Hills Game Reserve. This ride has it all - spectacular beauty, challenging climbs, Jeep tracks, single track and unspoiled forest tracks. A mountain biker’s dream: The beauty is indescribable.